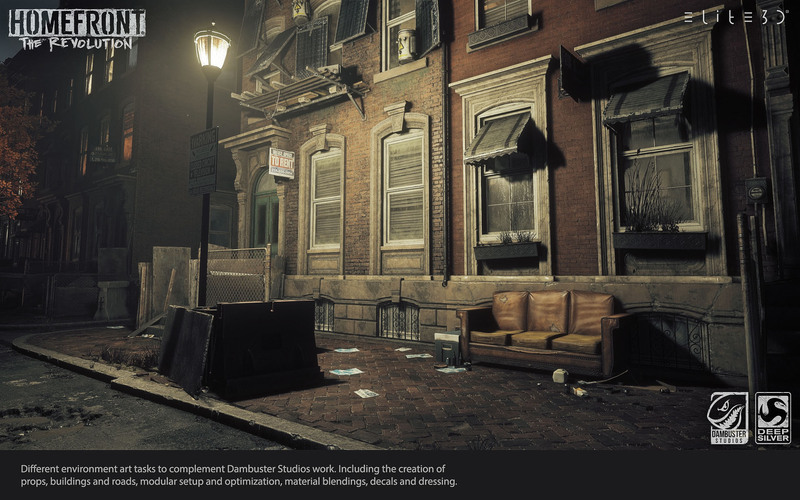 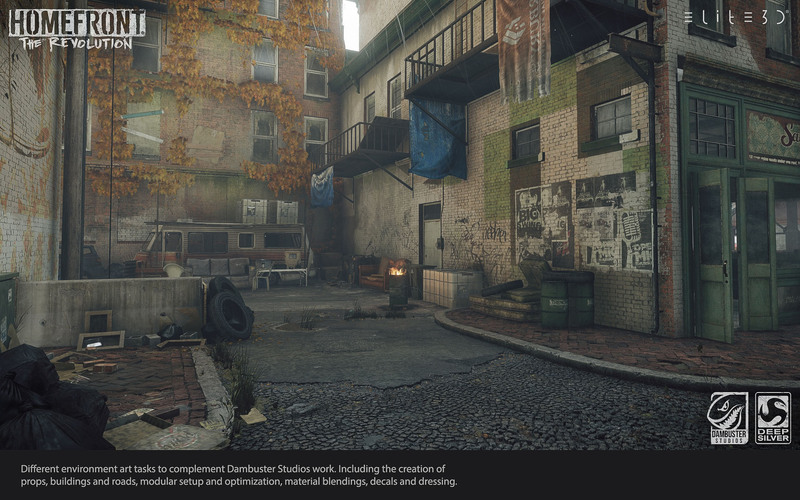 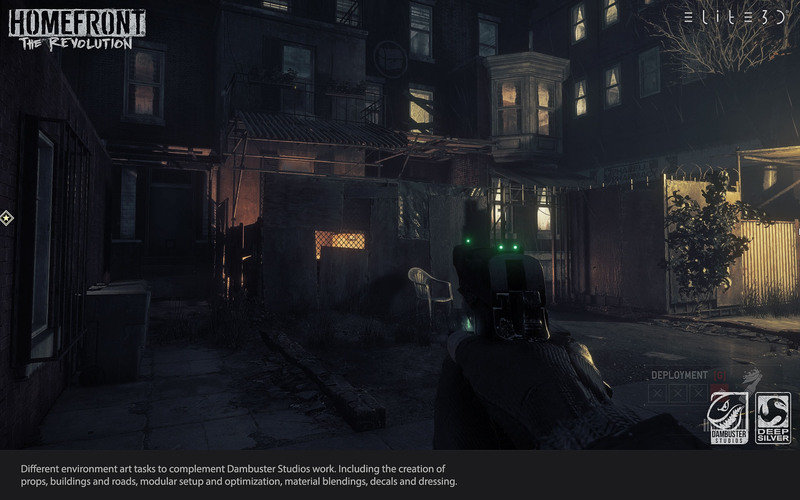 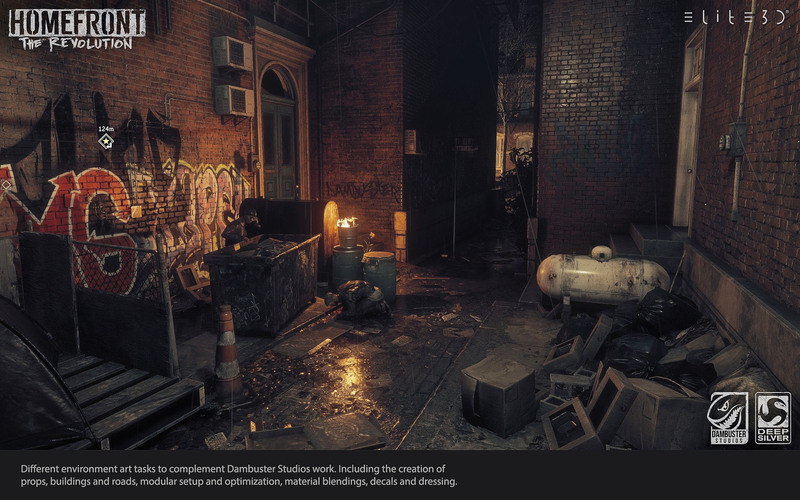 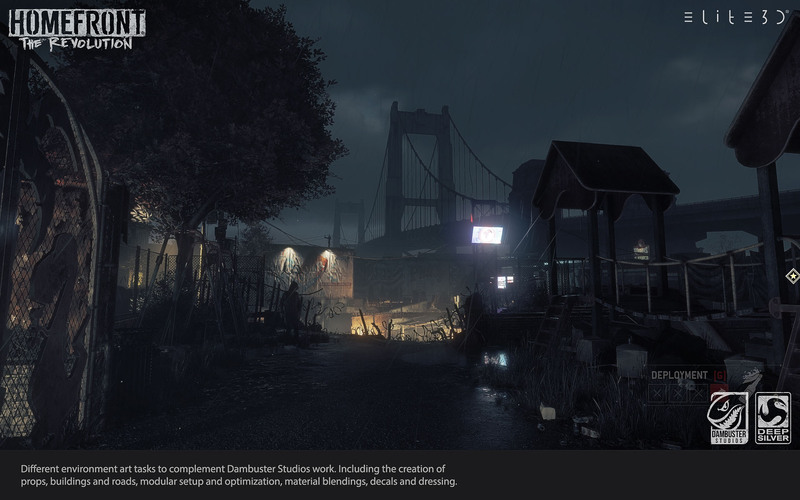 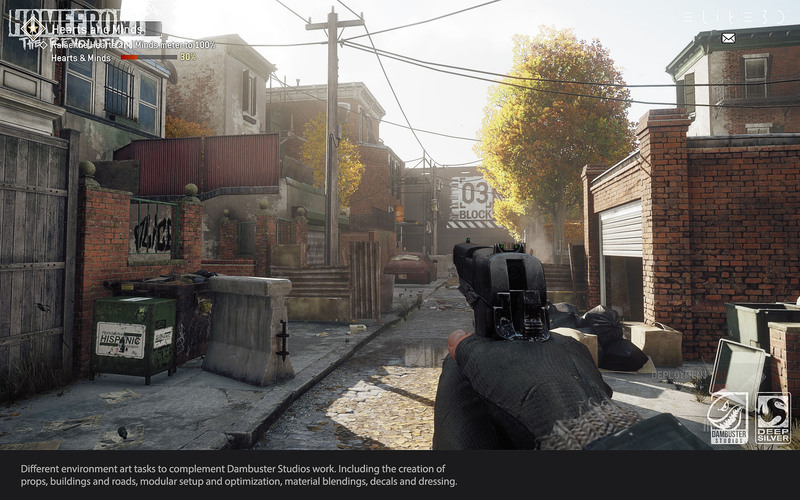 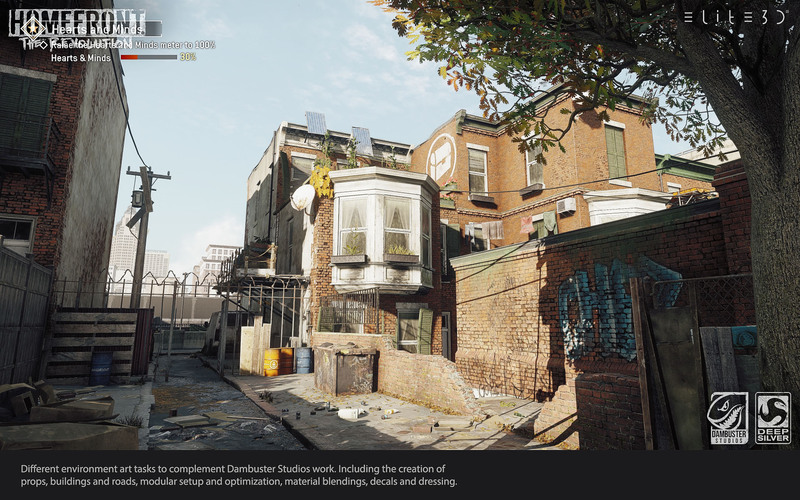 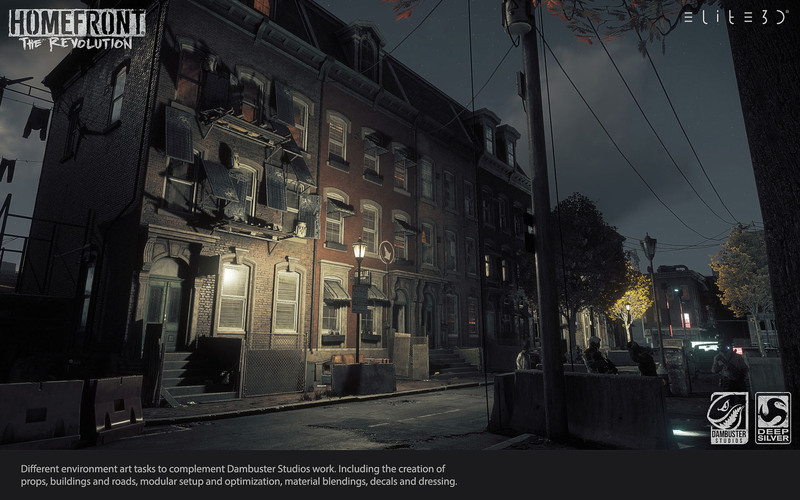 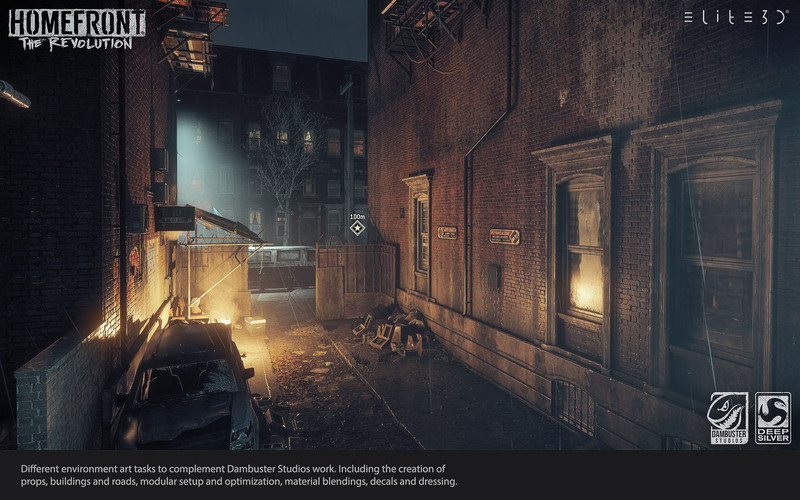 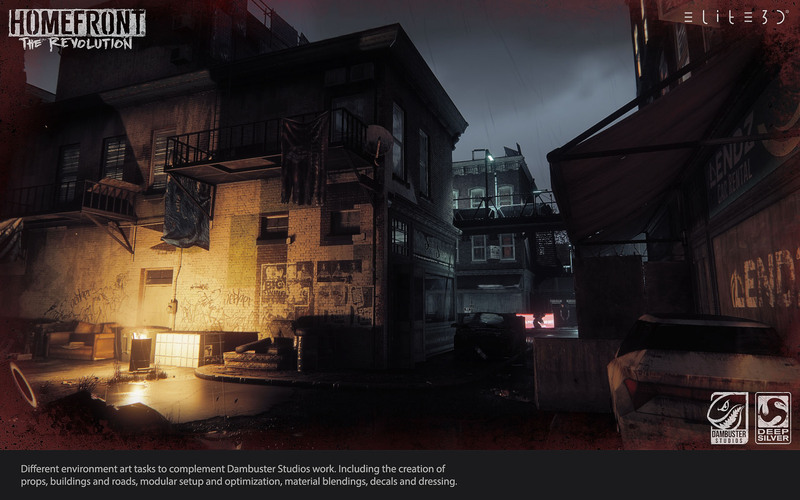 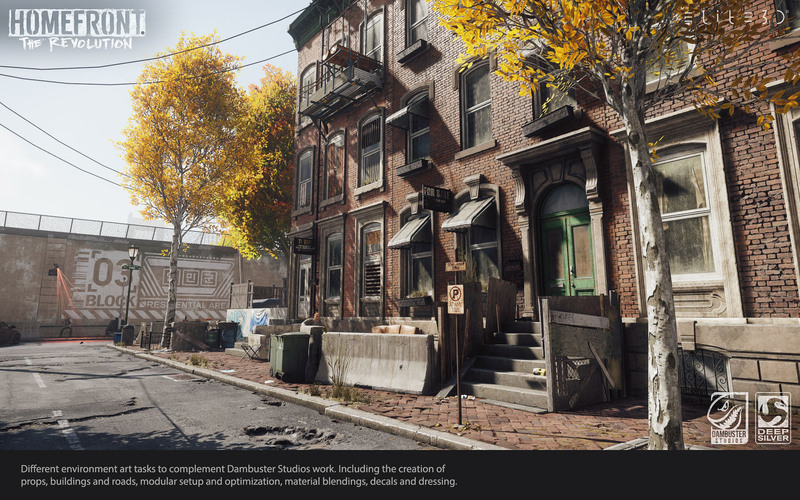 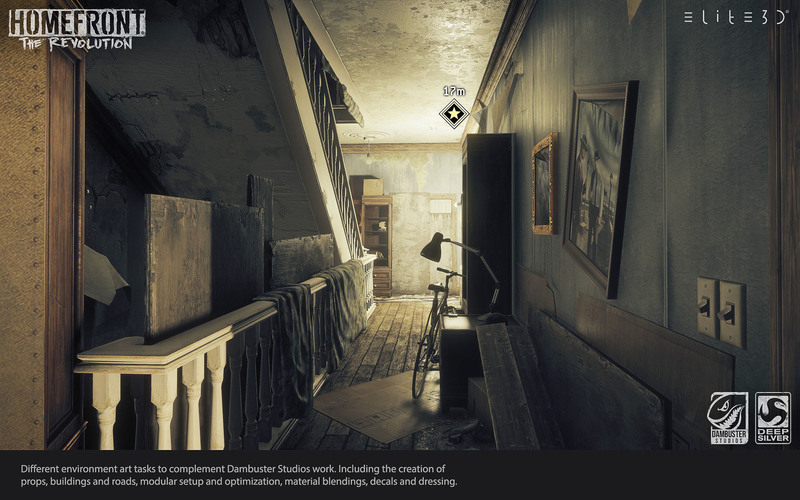 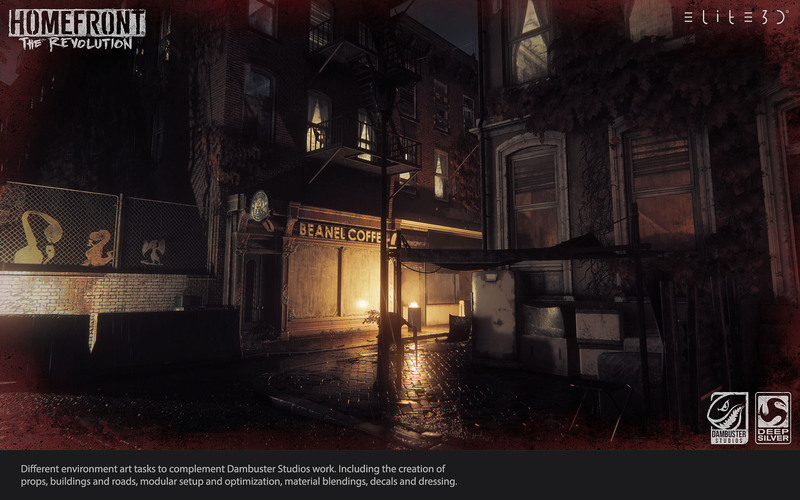 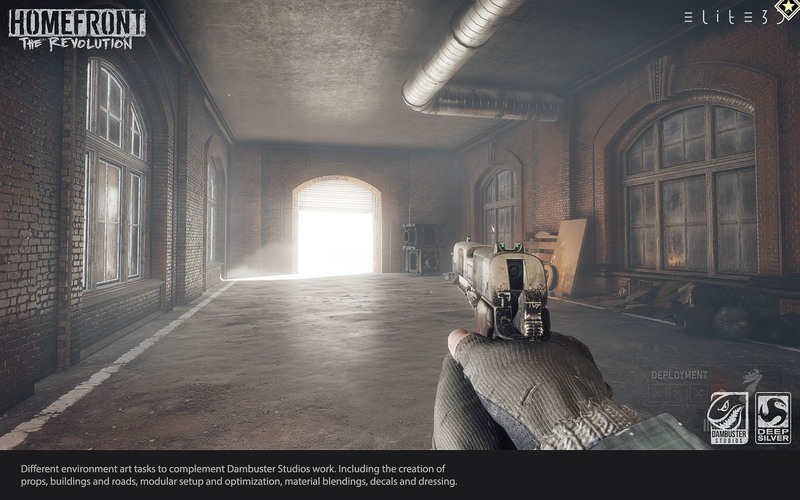 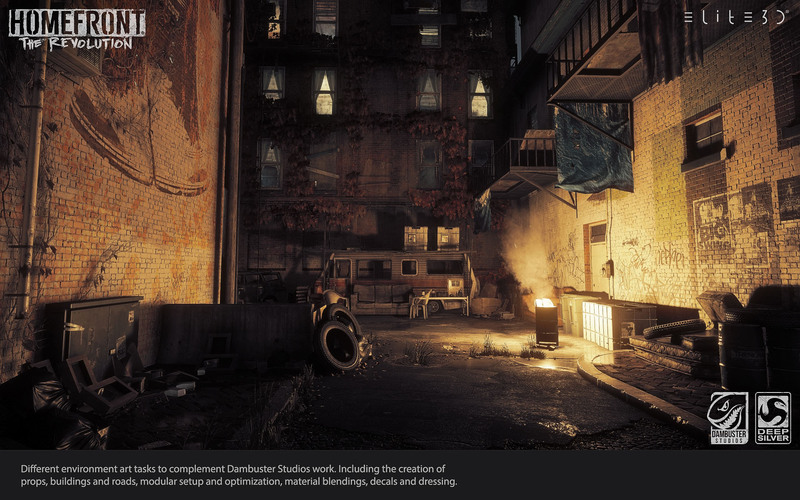 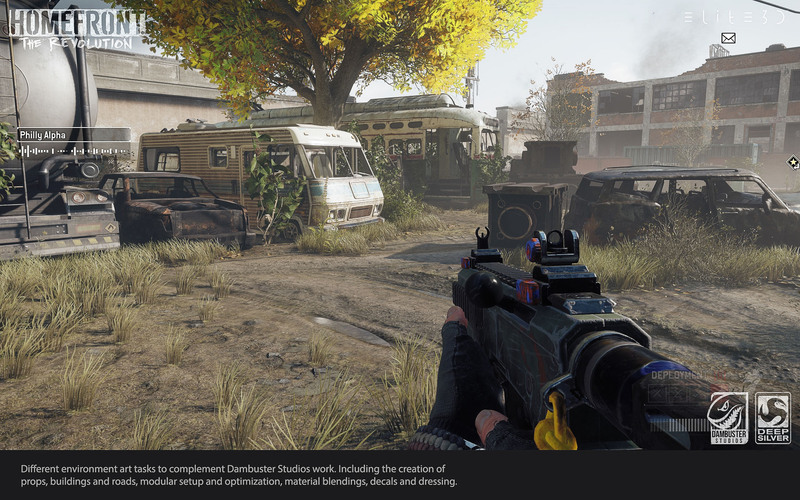 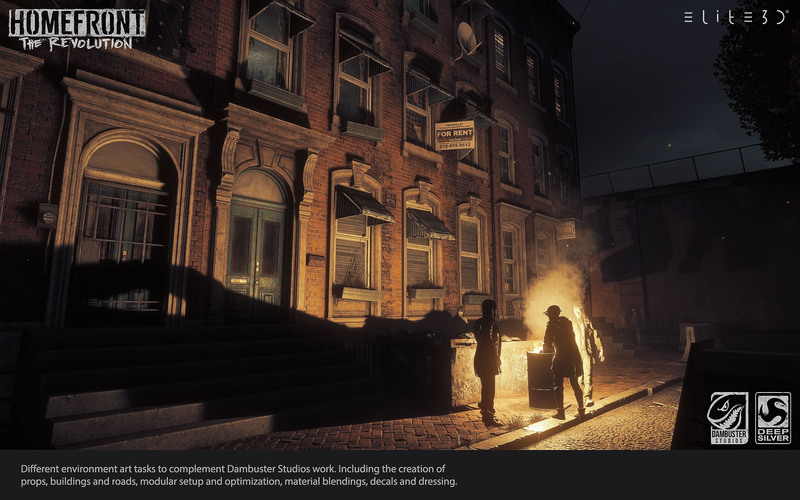 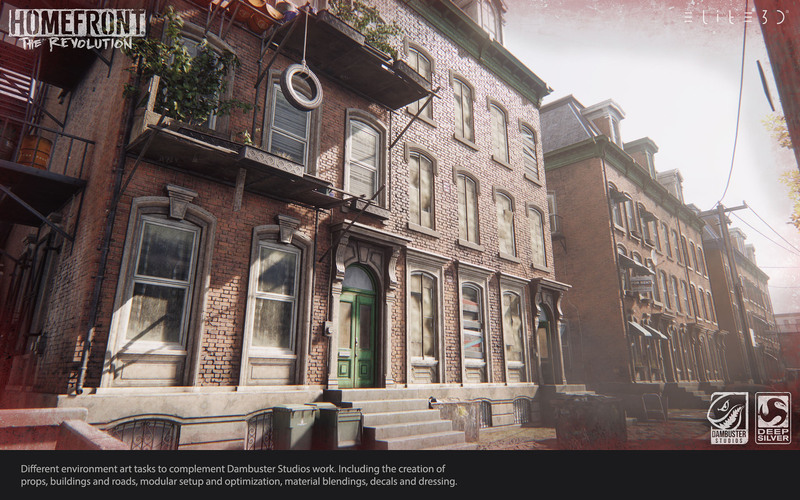 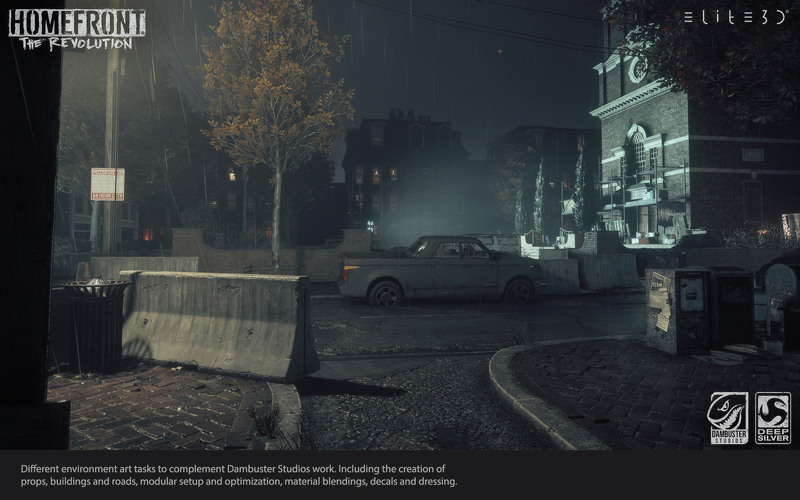 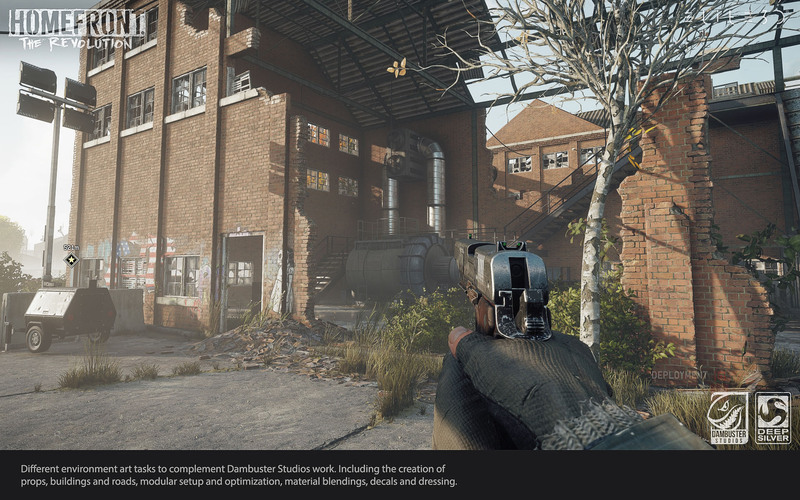 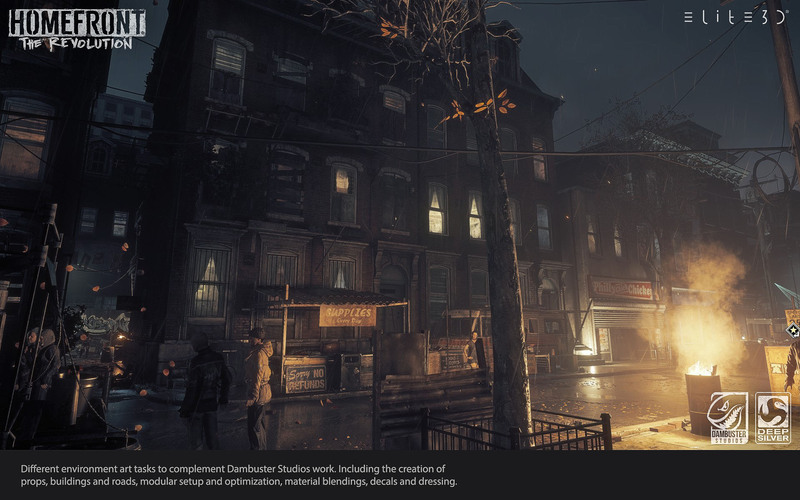 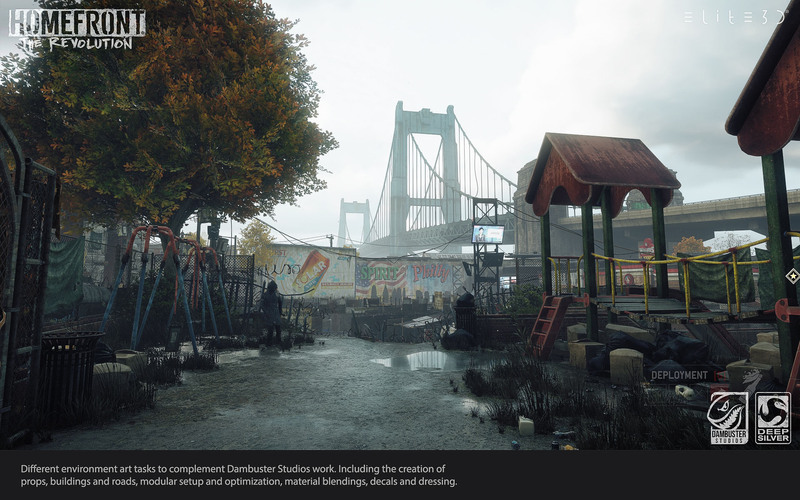 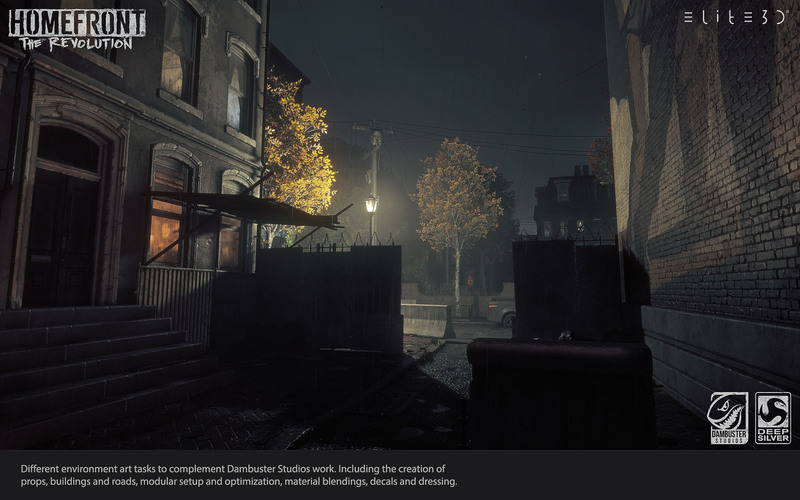 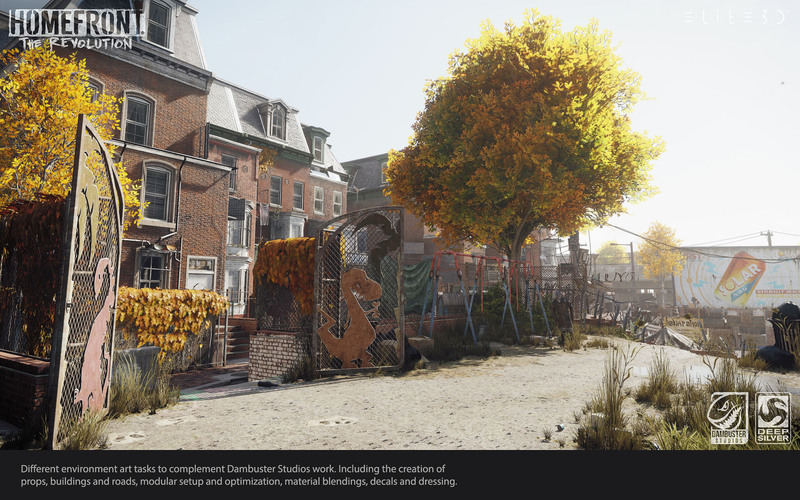 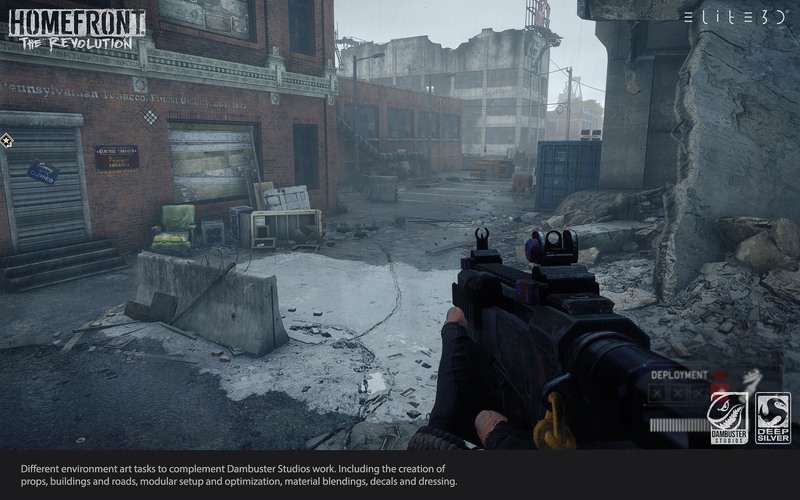 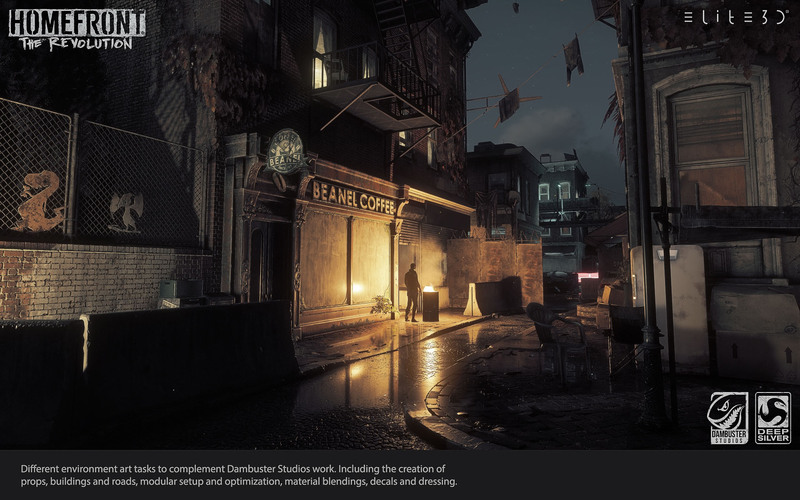 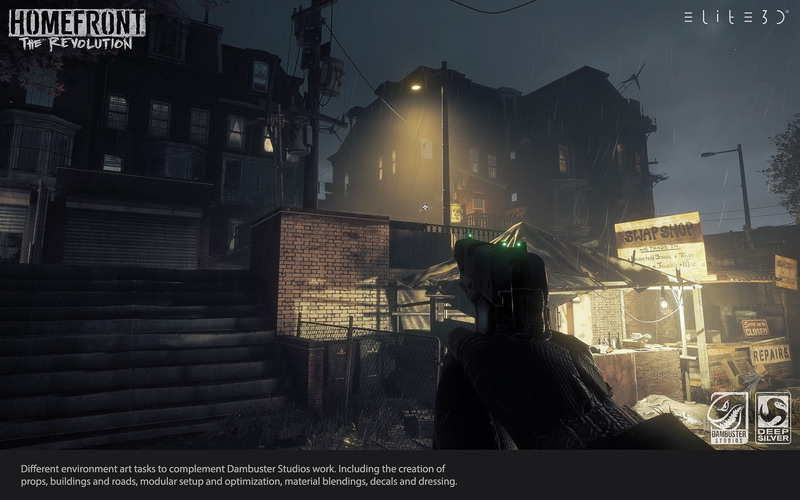 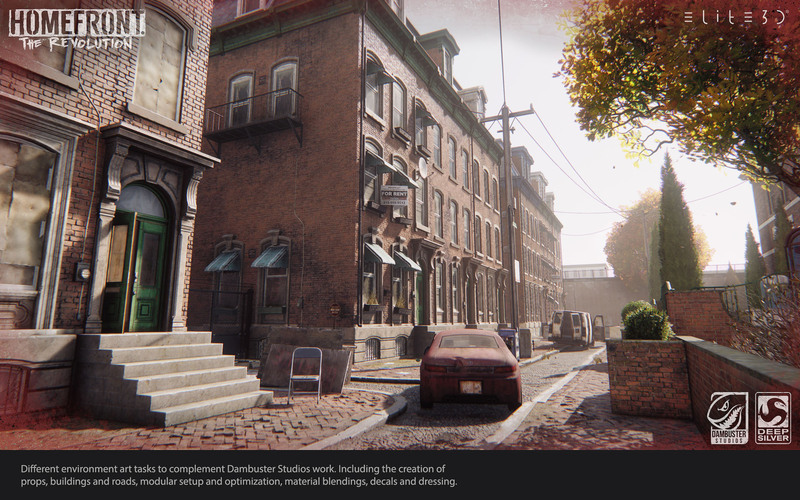 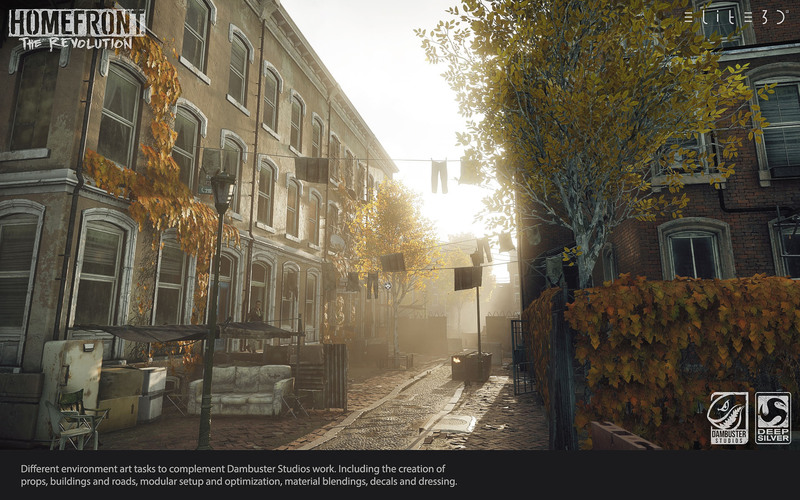 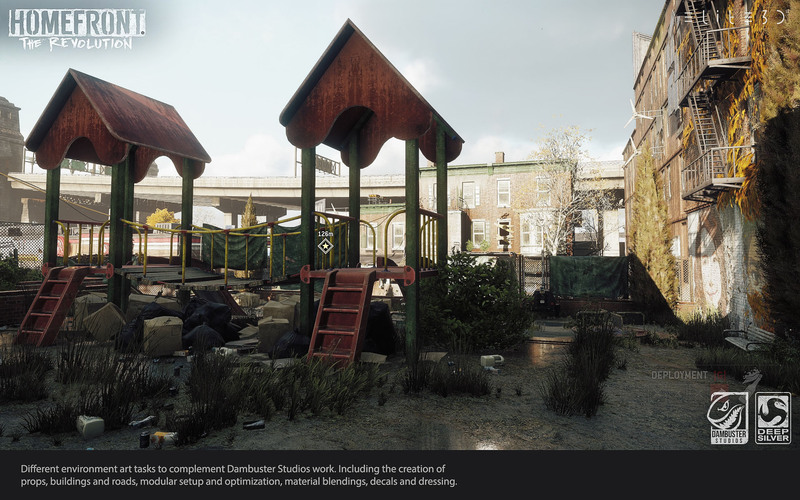 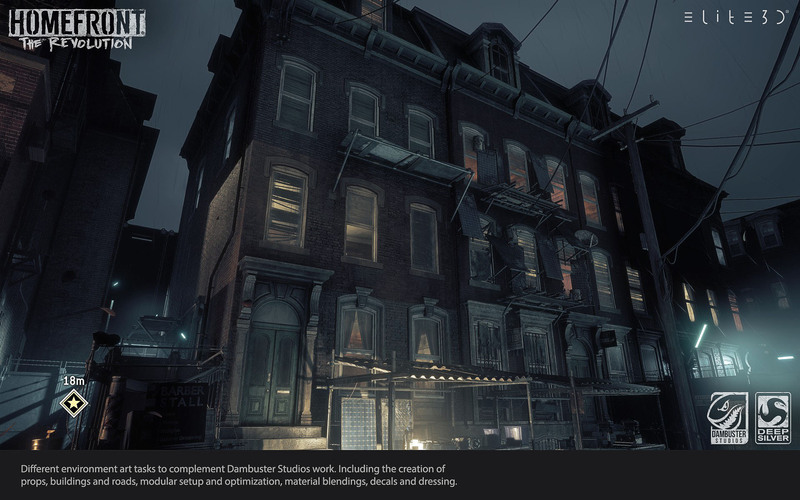 elite3d was helping Crytek & Dambuster Studios on different environment art tasks for Homefront: The Revolution. 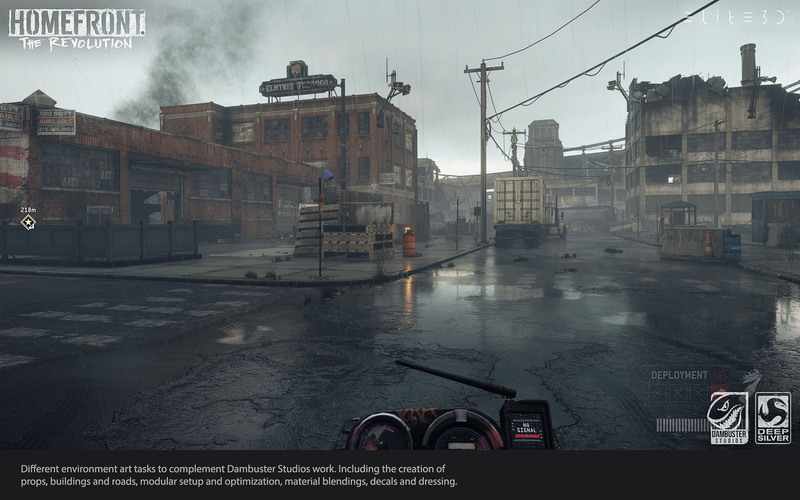 Our work involved the creation of props (highs, low and textures), buildings, roads, modular setups and optimization, material blending, decals and set dressing. 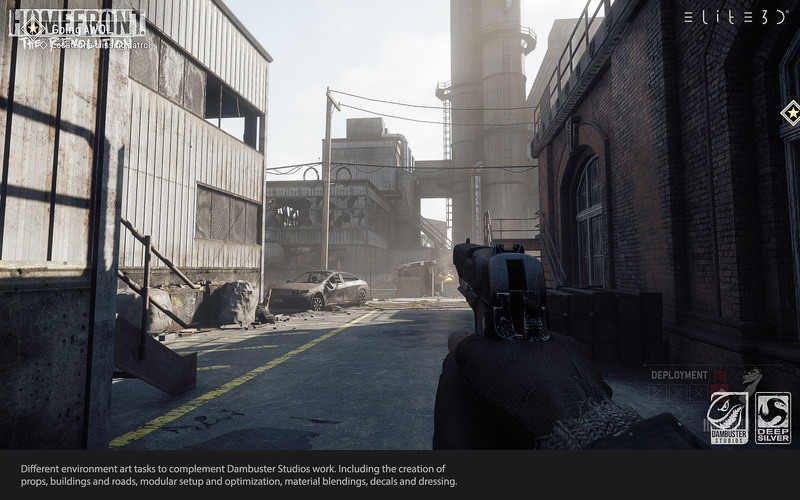 Homefront: The Revolution is an open world first-person shooter video game developed by Dambuster Studios and published by Deep Silver for Microsoft Windows, PlayStation 4, and Xbox One. 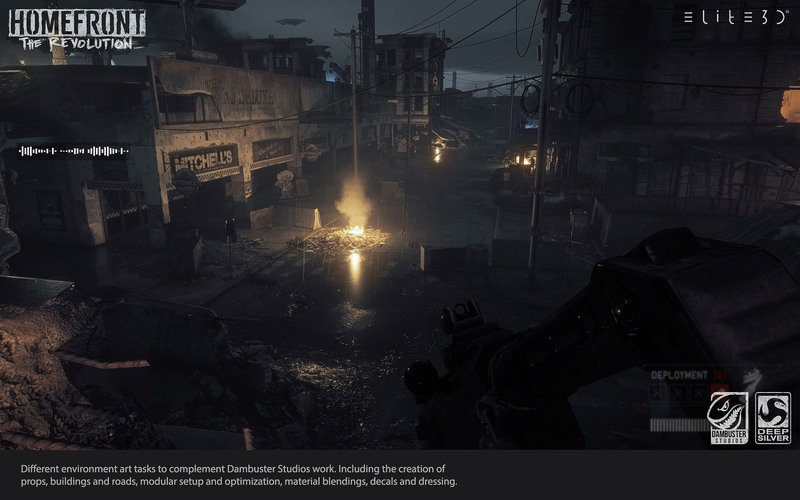 It is the reboot to Homefront. 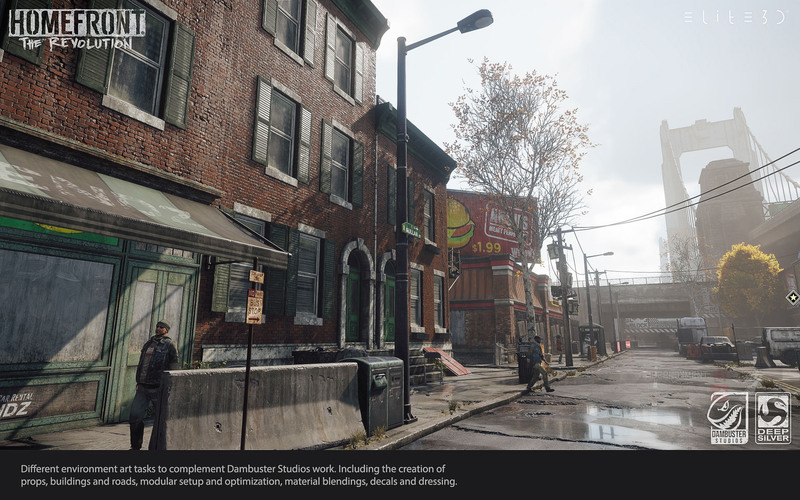 It takes place in 2029 in an alternate timeline, following the protagonist Ethan Brady as he stages a resistance movement against the army of a North Korean occupation in the city of Philadelphia.